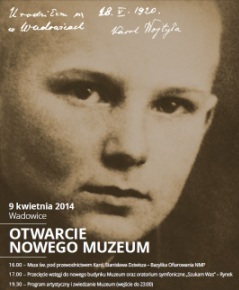 A new exhibition, launched in April 2014, and featuring multimedia displays at the renovated Holy Father John Paul II Family Home Museum, telling the life story of the Polish Pope: from his early days in his home town, through the period in Kraków, to the Vatican. The heart of the museum, now encompassing the entire building, remains at the renovated apartment of the Wojtyła family. For the World Youth Days have already registered 600,000 pilgrims from around the world, and the organizers are counting on the arrival to Poland approx. 1,5 million pilgrims. Krakow now has its very own mobile app! It is Krakow's first official application addressed to all users of Android phones and iOS. The up-to-date urban guide can be downloaded and installed for free at the Google Play store or at Krakow's website. Application works offline once it has downloaded data. Krakow received the prestigious “The Best European City Trip 2016” award for the third consecutive time. 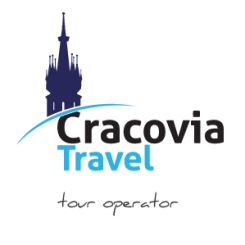 Krakow is Zoover’s best tourist destination in Europe for the third consecutive time! The capital of Malopolska Region won Zoover’s ranking beating such tourist hits like Vienna, Seville, Prague, Venice, Rome, Barcelona. This year, the Wieliczka Mine began the tourism season 15 April by presenting new services and celebrating the jubilee year of the oldest miners’ orchestra in Europe.